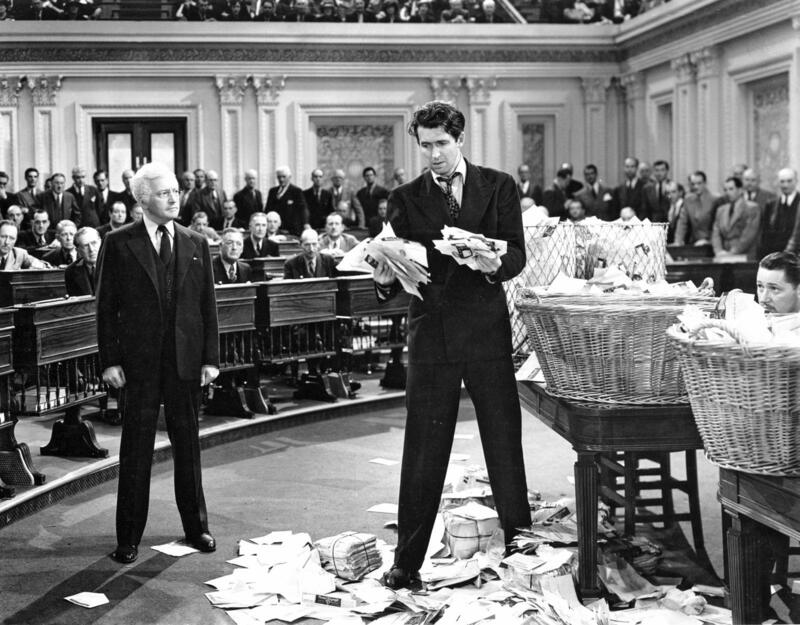 In "Mr. Smith Goes to Washington," Jimmy Stewart, right, portrays a senator who tries to use the filibuster for good. Now the threat of a filibuster is enough to stop votes. While the so-called filibuster rule allows any senator to slow things down and to keep bills from moving to the Senate floor for consideration, it’s usually used by the minority to extract compromise from the majority. It takes 60 votes to overcome a filibuster, or in the parlance of Capitol Hill, “to invoke cloture” and cut off endless debate, allowing a measure to get a vote. Senate Republicans have 54 members, short of the 60-vote threshold. That six-vote difference has allowed Democrats to block all 12 of the Republican-backed appropriations bills. Democrats want Republicans to negotiate an end to the sequester. It also let them thwart plans by Republicans to cut funding earlier this year for the Department of Homeland Security necessary to implement President Barack Obama’s executive orders allowing millions of undocumented immigrants to stay in the country. Additionally, Democrats have used the rule to block Republican efforts to defund Planned Parenthood and the Affordable Care Act, and even kept Senate Republicans from voting against the president’s recent agreement on Iran’s nuclear program — all big issue for conservative voters. The House Freedom Caucus, an invitation-only group of more than 40 far-right Republicans, refused to back a short-term funding measure at the end of last month, in part, because it included money for Planned Parenthood. Senate Majority Leader Mitch McConnell, R-Ky., said he would not risk a government shutdown over the issue because Republicans did not have the votes to override a veto. That frustrated members of the Freedom Caucus and other House conservatives who refused to compromise on the issue, preferring instead to force a government shutdown. The impasse prompted Speaker John Boehner, R-Ohio, to announce plans to step down. After that, Boehner quickly moved to pass the two-month continuing resolution with a majority of Democratic votes. 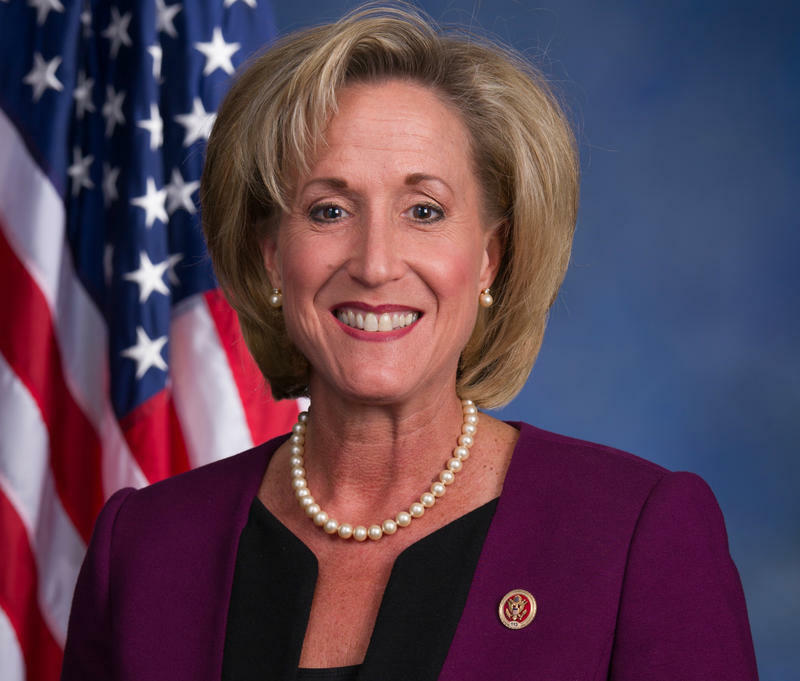 U.S. Rep. Ann Wagner, R-Ballwin, is pushing Senate Republican leaders, including U.S. Sen. Roy Blunt, R-Mo., to change the Senate’s rule on filibusters. “At some point folks have to stop worrying about the history and the institution, they have to listen to the people and what the people want, which is action,” Wagner said. She added that voters are angry and frustrated at the Republican’s apparent inability to get anything done. The Senate has modified the filibuster based on its own frustrations. When Republicans were in the minority, they filibustered hundreds of the president’s appointments. “We saw Democrats, under Harry Reid, when he was the majority leader in 2013, whittle back the filibuster so that you can no longer filibuster judicial appointments and executive appointments,” Binder told St. Louis Public Radio. St. Louis Public Radio has confirmed that Senate Majority Leader McConnell, has asked Blunt, and others, to review the current rules in the Senate to consider whether any procedures should be revised to start the next Congress. U.S. Sen. Claire McCaskill, D-Mo., says she hopes Republicans don’t go down this road. She also questions whether such a move would benefit Republicans without a Republican president. “If they’re confident, like 99 percent confident, that they’re going to have a Republican president, then maybe it would be tempting to them, but if they’re going to have a Democratic president, they don’t gain anything,” because it's unlikely they’d have enough votes to override vetoes. McCaskill also says that “more thoughtful Republicans” will realize that such a move will hurt them the next time they’re in the minority. Senate Historian Emeritus Donald Ritchie says the rules of the House have evolved to “allow the majority to rule. As long as the majority sticks together they can prevail and they don't need to consult with the minority,” but he says the rules of the Senate have evolved to “give muscle to the minority,” in keeping with the function of the Senate, as seen by the founders of the Constitution. Ritchie is quick to offer a civics lesson of sorts for anyone frustrated by the inefficiencies of government. "Our Constitution divides up power between three branches, and then divides legislative power between two houses. Everything takes time and everything requires you to negotiate and to compromise and to try to find some sort of common ground, that's actually deliberately written into the system." He says, had the framers wanted an efficient government, there would have been no need for the Senate. St. Louis Public Radio's Jim Howard reports on the Senate's filibuster rule. 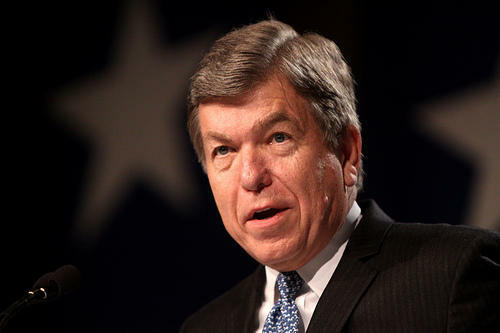 Missouri Senator Roy Blunt is joining his fellow Republicans in criticizing a push by Majority Leader Harry Reid that would limit the power of the filibuster -- a legislative technique to give power to the minority party. 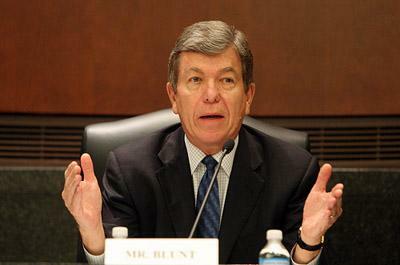 Blunt and the GOP call Reid's proposed rule changes the "nuclear option." Reid prefers the term the "constitutional option." Whatever you call it, it would limit the use of the filibuster by making a few changes – most notably being that the one doing the filibustering actually has to be present for the speech, and can’t just threaten it. But Wagner, R-Ballwin, says that Republican presidential candidate Donald Trump has taken that term to an all-new level with his harsh jabs at critics and reporters. And she suggests that he dial it back.